Welcome to the Pilchard Books blog where you can enter another world of excitement and mystery, adventure and love. 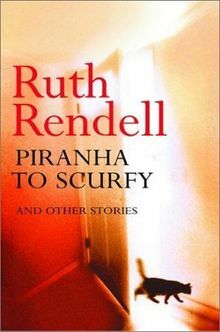 I love short stories, and I enjoy crime fiction, but I have never read any books by Ruth Rendell. I had seen her characters come to life on the television, but never read their original stories. This collection of short stories, Piranha To Scurfy And Other Stories, was a great surprise, and I enjoyed them immensely. The macabre twist of the first story, the title cleverly reflecting a volume from the Encyclopaedia Britannica, and the disturbing nature, but satisfying ending of The Wink. The High Mysterious Union really reminded me of the Wicker Man, with its 'loving' community, and the Myth was wonderfully creative, with the idea of the Garden of Eden being in Wiltshire. 2014 Pilchard Books. Simple theme. Theme images by luoman. Powered by Blogger.